Liverpool’s impressive start to this season has certainly suffered a massive blow with the loss of Philippe Coutinho. The Brazilian star has been in explosive form this season, bagging five goals and five assists, and Jurgen Klopp’s boys now sit second in the Premier League table, just one point behind leaders Chelsea. 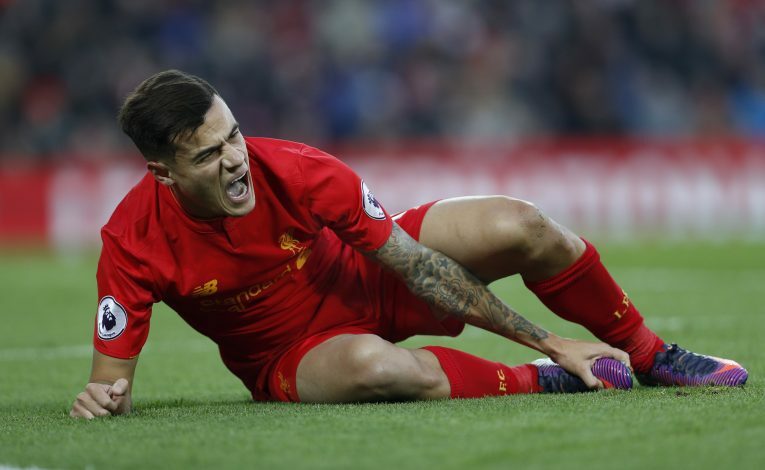 However, Coutinho is all set to be missed for an agonisingly important part of the season, and could be out of action for as many as seven league fixtures (although some reports suggest he targets the New Year’s Eve encounter with Manchester City as a possible return date). Nevertheless, a Liverpool attack which was in lethal form is now missing a highly significant component for a certain period of time, and that leaves Klopp with some sort of a dilemma on his hands. He doesn’t have the option to replace Coutinho with a new signing, so a few bit of tactical manoeuvrability is badly needed. There was a time when sticking with an even fully-fit Daniel Sturridge would not have been a wise choice, such was his demoted importance to Liverpool. The promising Englishman’s persistent injury layoffs caused Liverpool some extensive stagnation whilst they anxiously awaited the return of their highly-rated striker. 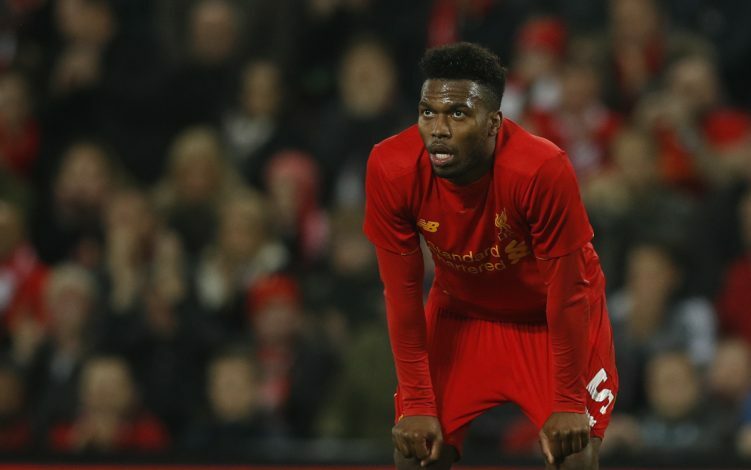 However, when Klopp took over, he stationed an alternative strikeforce, one that was no more reliant on Sturridge. And unfortunately for the striker, that experimental attack proved to be impressively potent, throwing Sturridge on the bench, and in the process, raising a serious doubt over his long-term future at Anfield. The 27-year-old has played only four Premier League matches this season (without scoring), but Coutinho’s absence gives a much-welcomed opportunity, a reprieve for him, which in turn may witness Roberto Firmino move to operate a wider role. Will it change the dynamic? It remains to be seen, but it would certainly demand Sturridge to become more selfless and interchangeable with Firmino and Sadio Mane up front. Some continue to believe that on his day, Sturridge is still one of the best strikers that England have produced, and here lies the chance for the forward to show the new Liverpool boss that he really deserves a place in the starting eleven. Meanwhile, Divock Origi also fighting for that central role. The Belgian forward came off the bench against Sunderland to strike a game-changing goal. Furthermore, the 21-year-old has an added advantage of being utilised as Klopp’s first-choice striker in Liverpool’s more important fixtures last term. Very few players have kick-started this campaign as good as Adam Lallana. Using him in a slightly more withdrawn position, Klopp looks to have completely improved Lallana’s game to a massive degree, giving him so much confidence. Lallana now happens to be the perfect creative fulcrum on which this Liverpool attack turns. He has brilliantly bridged the gap between the final third and two behind. Just look at the side’s last two displays, against Southampton and Sunderland respectively, and you will understand how much Lallana was missed. Keeping that in mind, pushing him further forward to fill the gap left by Coutinho would become a risky business. Yes, it would give Klopp the chance to continue using Emre Can, Jordan Henderson, and Georginio Wijnaldum in the midfield, but will it hamper Lallana’s own game, even if that’s the role he now plays for England? So Klopp has the option if he needs, but the Liverpool boss will most probably want to move him back into the exact role in which he has been flourishing all season. 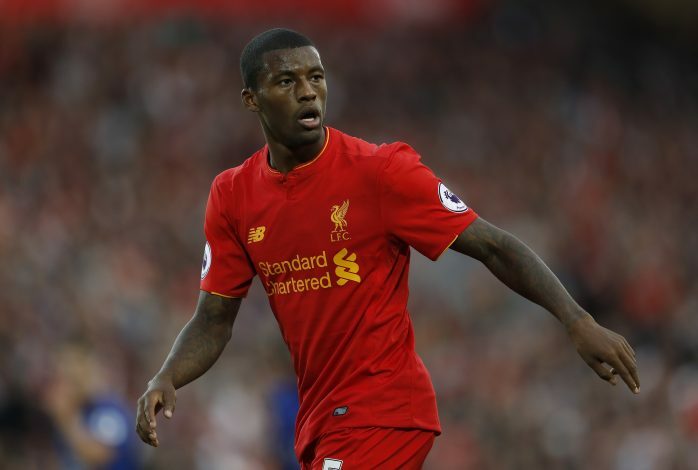 Meanwhile, Wijnaldum would be an easier choice to uproot. The Dutch international was on the brink of losing his place before Lallana’s injury, and while his performances have improved relatively thus far, he is not at the same high standards of those around him. So switching him to a left wing, or the number ten role – a position in which the 26-year-old is more than comfortable – might give him a chance to succeed and eventually fully justify his £25m price tag. If there’s one little thing Klopp appreciates, it’s nurturing promising young players and turning them into first team regulars. His disdain for the upcoming transfer window is known to almost everyone at this moment, and he has a knack to sign players only when it’s necessary, and if the players concerned fit into his own system (for example, converting James Milner to left-back instead of buying one). Sheyi Ojo and Ben Woodburn are two of Liverpool’s brightest attacking talents in the country at the moment, and although Klopp is relishing the idea to use them in the coming weeks, there are a few reasons why he will not do that. Ojo was given some decent run of games at Liverpool in Premier League last season, as Klopp mainly focused on the Europa League challenge. The 19-year-old lad featured in five league games (and as a substitute in three more) and in the process, was praised for his brave displays. He was regularly mentioned as a key reason why Jordon Ibe was given the green signal to leave in the summer. But the youngster remains out of action due to a serious back injury sustained in the summer. He only managed to return to full training recently, and while Ozo will be looking for game time towards the end of the season, it seems a bit too early for him. Woodburn, on the other hand, has been going through an upward trajectory since the summer. Despite earning rave reviews in the pre-season campaign, the 17-year-old hasn’t been included in the senior team on a more regular basis, due to Klopp’s insistence that he was far too young to handle the pressure. 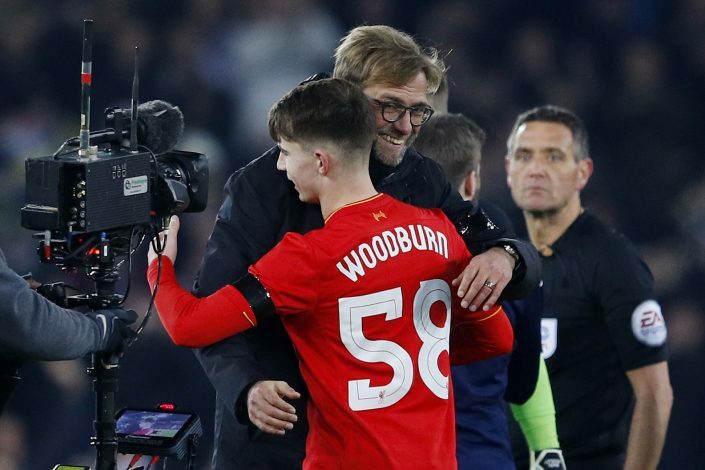 However, Klopp has promised to protect Ben Woodburn and give the youngster the chance to fulfil his potential at Liverpool, after the talented lad became the youngest goalscorer in Liverpool’s history in the EFL Cup quarter-final win over Leeds.